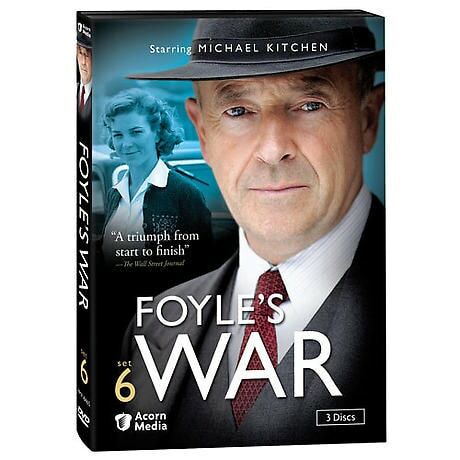 Returning for a three-episode encore, this enormously popular, award-winning mystery series stars Michael Kitchen (Out of Africa) as Detective Chief Inspector Christopher Foyle, a police investigator in the British coastal community of Hastings. 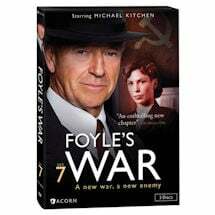 In the immediate aftermath of World War II, Foyle finds his longed-for retirement interrupted by cases involving international intrigue, military racism, and an accused traitor all too willing to go to the gallows. 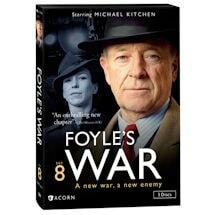 Complete UK broadcast edition. 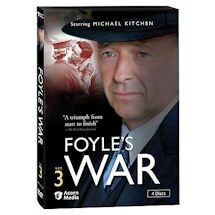 Three episodes, approx. 300 minutes, 3 DVDs, SDH. June 1945. 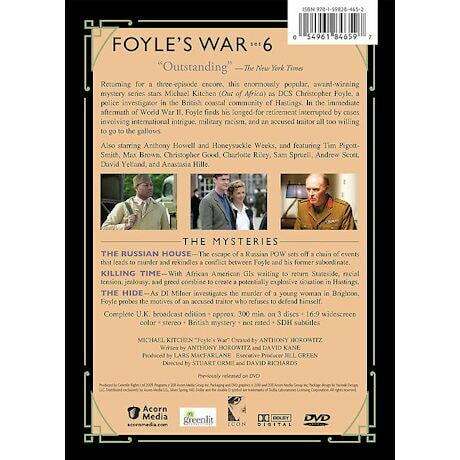 Tracking an escaped Russian POW at the behest of British intelligence, Foyle becomes involved in a murder investigation conducted by his former subordinate, DI Paul Milner. 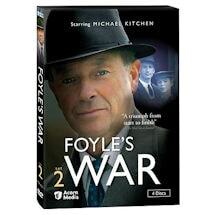 The situation threatens not only their already strained relationship, but also Foyle's life. July 1945. While African American GIs wait for transport home, racial tensions run high at the army base in Hastings--particularly when a black American serviceman becomes romantically involved with a white local woman. 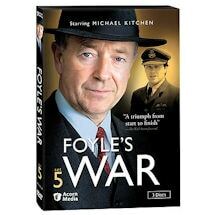 Then a series of nighttime holdups adds to the town's concerns and leaves Foyle puzzled. August 1945. 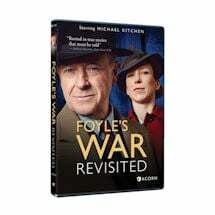 Foyle probes the mysterious motives of James Devereaux, a former POW and member of the British Free Corps, who refuses to defend himself against treason charges. 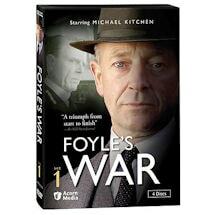 Meanwhile, Milner investigates the murder of a young woman rooming with the Devereaux family's housekeeper. 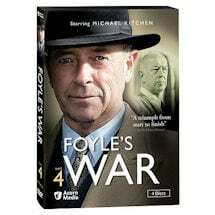 Starring Michael Kitchen, Honeysuckle Weeks and Anthony Howell; and featuring Max Brown, Christopher Good, Tim Pigott-Smith, Charlotte Riley, Sam Spruell, Andrew Scott, David Yelland, and Anastasia Hille.